Whether we like it or not, the face of business is changing. No industry is exempt and even ardent technophobes are slowly coming to terms with the fact that the markets to which they’ve dedicated their lives and careers are becoming increasingly digitally led and globalised. The newfound interconnectivity of the 21st century means that competition is fiercer than ever and even industries that were previously immune to the whims and innovations of the digital realm are slowly coming into the fold. If you have a business in the transportation sector (or are thinking of starting one), you too are not immune to the increasing reliance on digital means to ensure a steady stream of custom and revenue. The key to maintaining a healthy influx of business in an era of fierce competition lies in mastering the arts of branding and marketing. Whatever it is you transport and to whom, your business needs a solid brand in order to reach your target market and it needs to invest in marketing costs to ensure that your business’ reputation grows, netting you those elusive top tier clients time after time. Your brand is so much more than a name scrawled on the side of your trucks. It’s your USP. It’s what marks you out as being different to your competitors in an industry (and a global climate) where competition is rife. It’s what will ensure that the most lucrative clients will choose your business over the legions of other transportation enterprises out there. It’s understandable that branding may not be a priority for many transportation enterprises. Let’s face it, the transportation sector is an industry with some pretty sizeable overheads. 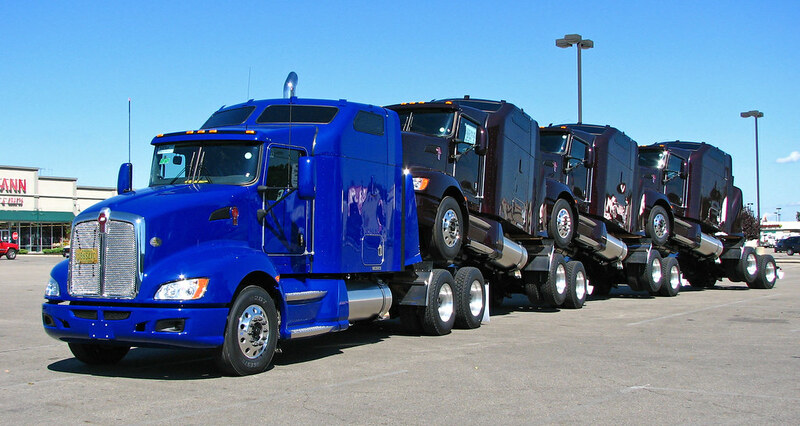 Not only must you fork our to buy or lease the vehicles themselves, you have to insure them- check out http://truckdealersaustralia.com.au for some tips on this. You also have to endure the myriad costs of keeping, storing, fuelling, maintaining and repairing a fleet of vehicles. That’s a lot of expenditure for any business to bear. Plus, it’s in the nature of an entrepreneur to keep a watchful eye on unnecessary overheads, cutting them down as and when they arise so that the business can stay agile and maintain a healthy cash flow. In light of this, expenditure on branding and marketing may seem like unnecessary frivolities to the digital novice, but they are not only worthy of your consideration- they’re in integral part of business in the 2010s. Your brand makes a promise to your prospective clients. It tells them that they can expect a certain quality of service, and a specific ethical focus. What sort of a promise do you want your business to make to your core clientele? What is the vision that drives your business (no, making big piles of money doesn’t count). Do you want to build your brand on your reliability? That no matter what a chaotic world throws at you, your drivers will get what they want where they want it on time come rain, shine, flood or earthquake? It’s a great promise to be able to make, but you have to be able to keep it. If you don’t build failsafes into your business plan to ensure that you never miss a delivery, you could end up compromising your brand’s integrity in the eyes of your clients. Do you want to be innovative or environmentally conscious? There’s enormous pressure on the transportation industry to clean up its act in order to lower its carbon footprint and invest in more sustainable ways of operating. A good example of this is the way McDonald’s uses biodiesel derived from its old cooking oil to power its delivery trucks. Again, this is a worthy and noble promise to make, but you’ll have to invest a proportion of your revenue back into research and development to ensure that you’re always finding more ethical, innovative and environmentally conscious ways of operating. Your logo is the centrepiece of your brand. It should be emblazoned with pride on the sides of your trucks, your drivers’ uniforms, your business cards, email footers and all over your online presence (more about that later). While it may be yet another overhead, it’s extremely important to work with a talented graphic designed to collaborate on a logo that sums you up accurately as a business. Bear in mind that people may only glimpse it briefly as they pass your trucks by on the highway so it needs to make an impact. Blue- Gives a sense of freshness, newness and modernity which is why you will see it proliferate in the tech sector. Green- Has associations with nature and the environment and implies that your business has a strong environmental focus. Red- The colour of blood has the ability to create associations with danger and threat but also the heart and compassion. Your digital presence; your website and social media presence will form a core component of your marketing and branding activities. Your website is a vehicle for you to give your business a sense of voice and personality. You can do this by harnessing the power of content marketing using blog posts, videos and even podcasts. This builds value into your business and gives it a sense of dimension that’s valuable in retaining customers. Your website should also be used to facilitate transactions, making it quick and easy for prospective clients to place orders. You should also use a compelling call to action to increase your conversion rate, meaning that more website users place orders. You can also incentivise this by introducing special discounts for new customers or for those who refer a friend or business colleague to your service. Branding is far more than just another overhead. It’s a vehicle (pun intended) for making a good business great, and ensuring that your enterprise rides smoothly and prosperously into the 2020s.